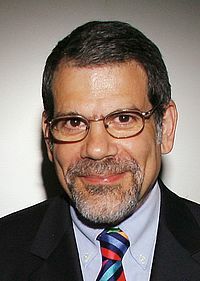 Gary S. Rubin received his Ph.D. in experimental psychology from the University of Minnesota in 1983. He completed a postdoctoral fellowship in low vision in 1985, and then joined the faculty of the Wilmer Eye Institute at Johns Hopkins University School of Medicine as Director of Low Vision Research. In 1999, Gary S. Rubin moved to London as appointed the Helen Keller Professor of Visual Rehabilitation at the Institute of Ophthalmology. He has published more than 100 scientific papers and book chapters and received the Garland Clay Award from the American Academy of Optometry in 1999. In 2003, he received the Edridge Green medal from the Royal College of Ophthalmologists. Fixation Stability Measurement Using the Mp1 Microperimeter. Users' subjective evaluation of electronic vision enhancement systems. Ophthalmic Physiol Opt, 2009. 29(2): p. 138-49. N Engl J Med, 2008. The effect of age and fixation instability on retinotopic mapping of primary visual cortex. Invest Ophthalmol Vis Sci, 2008. The effect of retinal image slip on peripheral visual acuity. J Vis, 2008. 8(14): p. 16 1-11. Saccadic Eye Movements and Reading in Patients With Advanced AMD - The AMD Read Project. Invest. Ophthalmol. Vis. Sci., 2007. 48(5): p. 5527. Invest Ophthalmol Vis Sci, 2007. 48(4): p. 1483-91. Eye movements and reading in macular disease: Further support for the shrinking perceptual span hypothesis. Vision Res, 2006. 46(4): p. 590-7. Gaze changes with binocular versus monocular viewing in age-related macular degeneration. Ophthalmology, 2006. 113(12): p. 2251-8. The effect of font and line width on reading speed in people with mild to moderate vision loss. Ophthalmic Physiol Opt, 2006. 26(6): p. 545-54.